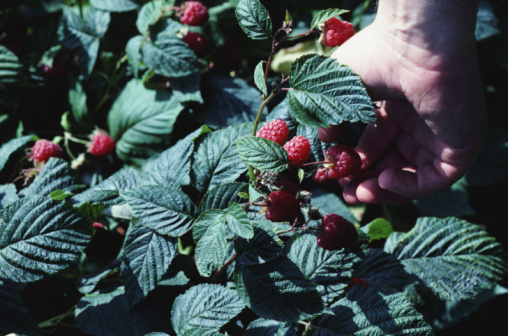 Planting raspberries means paying attention to the soil as it is crucial. You also need to be aware of how to harvest the fruits so it doesn’t perish. This plant requires full sunlight to grow. Also, the soil must have a good draining system. Sandy loam soil is required. Having plenty of organic material is also needed. Don’t plant them in places that remain wet come springtime. Your site choice must be near a good water supply. This will prove helpful during the dry season. Don’t cultivate these plants near potatoes, peppers, tomatoes and eggplants that are grown. These have a root rot (Verticillium) that can infect raspberries. When planting raspberries, the pH level should be 5.6 to 6.2. In the US, the ideal planting time is late April up to middle of May. You need to make sure there’s no danger of frosting anymore. The depth you plant should be equal to that used in the nursery. Be certain that the soil covering is firmly set. If grown in a hedgerow, set the crowns a couple of feet distant. The rows need a space of 12 feet from each other. The hedge should be kept 12” to 18” wide. That measurement is from the base. Shallow cultivation when planting raspberries is necessary to remove the weeds. Watering should be limited to an inch or two every seven days. You can add mulch, wood chips or pine needles to keep weeds at bay. Fertilization needs to be done in the middle of April. Around 20 lbs of 10-10-10 should be put on per 1,000 sq ft. You can apply half the fertilizers in mid April and the other half a month later. When the fruit can be plucked easily from the core, it can be picked. These perish rapidly, so harvest often. Either consume the fruits or store them in containers. Put the containers in a cool place (33 F). This will be good for three days to a week. Part of planting raspberries successfully means keeping infection at bay. 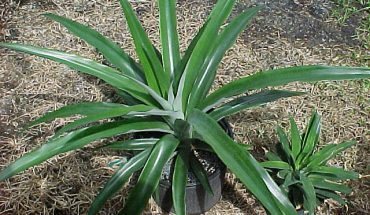 When buying plants, ensure they are certified virus free. Eliminate wild rambles within 600 ft of the plant. Removing the weeds also discourages insects from coming to the plants. Keep the garden clean to discourage fungi from appearing. Snipping the plants also helps keep disease away. Pruning is best done during the summer months. If canes come out outside the 18 inch row base, cut it off. This helps the sun in getting to the plants. Pruning also improves air flow. If the canes bear signs of insect injury, cut them off immediately. You should also get rid of the old canes that had born fruit the previous year. These are usually gray and are dead. Remove the plant wastes as they can carry plant diseases. It takes quite a bit of work to cultivate and nurture this fruit. But planting raspberries, once started, can be an immensely gratifying endeavor.